Hi, my name is Anthony. 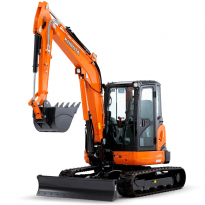 I'm from All Class construction equipment and we’re the Kubota dealer for Queensland. 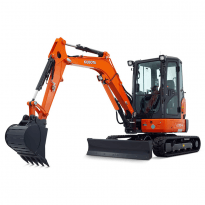 Here we have our new Kubota U 17-3 excavator. 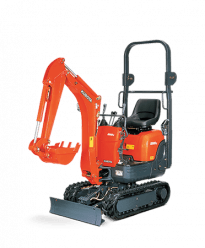 Features of this machine is it does have expandable tracks; the tracks can go in to 990 and at 1240 making it handy to get through those tight places. 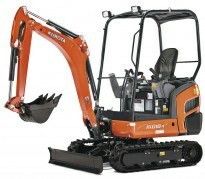 This excavator can be transported around on a trailer and is commonly used by the contractors or the Weekend Warriors. For more information on this product if you’d like to hire one, go to your closest Kennards stores or visit their website. A very manoeuvrable, ride-on, diesel powered machine, ideal for a range of earthmoving projects where working space or access is limited. 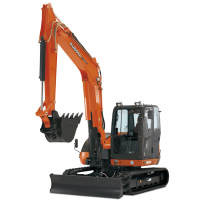 Powerful 5.5T tight tail swing excavator. Suitable for use in narrow spaces, applications including; drainage trenches, pool excavations and building footings. Ideal for a range of excavation projects including trenches, pool excavations, footings and narrow access applications. 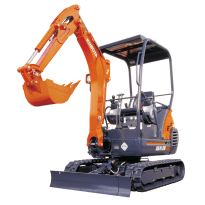 Excavators for large projects including; drainage trenches and building footings.